Remember back before the economic crash of 2008 just over a decade ago? One of the heralds of that massive worldwide economic crash was the fact that more than 5.5 million Americans couldn’t pay their car note, and were more than 90 days behind on the bill. 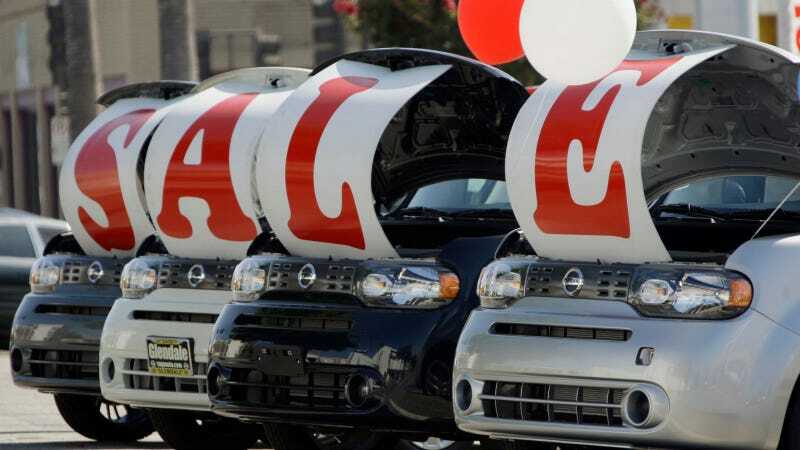 According to a report by the Federal Reserve Bank of New York, we’re heading toward a critical mass with more than 7 million car loans more than 90 days past due. Economists are throwing up flags that this could be an indicator of larger future economic problems. Despite the economy currently categorized as strong and unemployment at quite low rates, many American borrowers are finding it harder to stay on top of their bills. Part of this strain, one can infer, is from an uptick in new auto loan originations in 2018. Auto loan debt in the U.S. market has been climbing steadily since 2011, and hit an incredible $584 billion at the close of 2018. A larger percentage of new car loans have been granted to low-credit buyers, as though society learned nothing from the last time. Because loan institutions can charge exorbitant annual percentage rates to those with non-prime or subprime credit, loans to that segment have increased from 28% of loans in 2009 to more than 39% in 2015. With longer loan terms, these people who are on the margin of being able to pay for a car are on the hook for years longer than they were traditionally. More than 4% of borrowers aged 18-29 are behind on their car payment more than 90 days, enough to be fearful of repossession. Further, more than 8% of borrowers with a credit score under 620 are categorized as “seriously delinquent”. This data suggests that the American youth, largely with unestablished credit, are having a difficult time in the current economy. From a pragmatic perspective, the Washington Post says, “A car loan is typically the first payment people make because a vehicle is critical to getting to work, and someone can live in a car if all else fails.” Continuing by stating that this is usually a sign that low-income and working-class Americans are struggling. While this could be a big indicator of larger problems, the car loan industry is unlikely to lead to economic collapse as the mortgage industry did in 2008. For one thing, a new car loan averages to about $35,000 per, while houses are generally in the hundreds of thousands of dollars. Because of that simple fact, all car debt in this country accounts for just over $1 trillion, while home mortgage debt is a staggering $9 trillion industry. If people aren’t paying their car note, however, what else aren’t they able to pay? Student loan debt? Rent? It’s not a great sign for economic growth, in any case. I’m not suggesting you go start a run on the banks, but maybe just be cautious with your spending until things shake out a bit.